China remained dependent on South Korea in 2017 for more than half of its memory chip demand, despite Beijing's latest efforts to foster its chipmakers on a big scale, data showed Thursday. 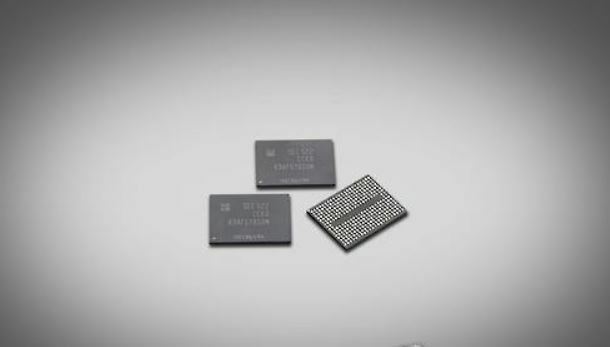 According to the data compiled by the Korea International Trade Association and the Korea Trade-Investment Promotion Agency, China imported $88.6 billion worth of memory chips in 2017, up 38.8 percent on-year. Of the total, South Korean products accounted for 52.3 percent, or $46.3 billion. Taiwanese and Japanese chips followed with 22.2 percent and 6.5 percent, respectively. China is expected to rely heavily on South Korean firms like Samsung Electronics Co. and SK hynix Inc. for the time being, as they are still ahead of Chinese firms in terms of technology and ability to produce semiconductors in volume, an industry watcher said. Major Chinese companies are currently utilizing production technologies applied by South Korean firms years ago. Fujian Jinhua Integrated Circuit Co., for example, uses a 22-nanometer process, which was adopted by Samsung between 2011 and 2015. "While memory chips used on smartphones and data centers are evolving quickly, Chinese firms are still falling behind," an industry watcher said, claiming such a technology gap makes Beijing dependent on import products for high-end devices. "The demand for memory chips is rising sharply in China, but due to its limits on production capacity, South Korea is anticipated to stay the biggest supplier," KOTRA also said. As Beijing has been making efforts to foster its chipmakers, including rolling out massive investment, however, Chinese companies may be able to narrow the gap with Samsung and SK hynix, they added. "China is focusing on supporting (chipmakers) via state-led projects. They also recruit overseas experts to beef up their capabilities in the chip industry," said Moon Byung-ki, a researcher at the association.